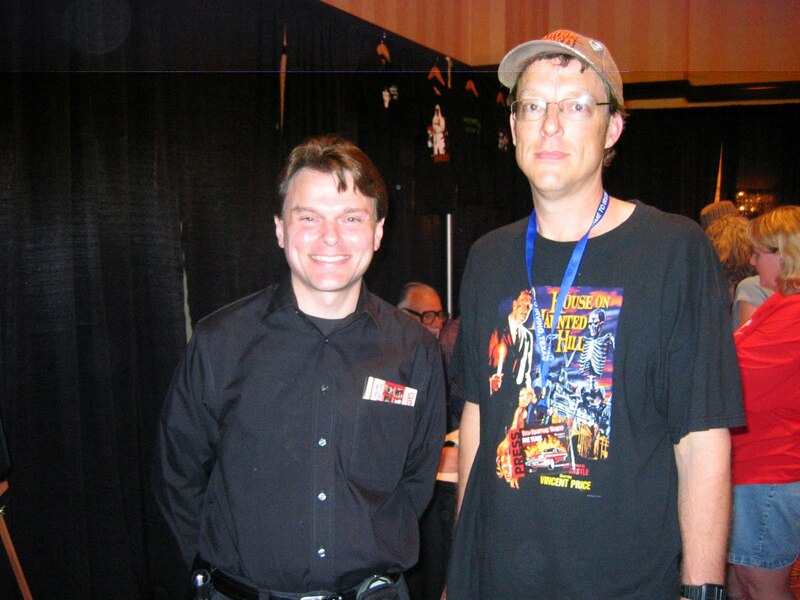 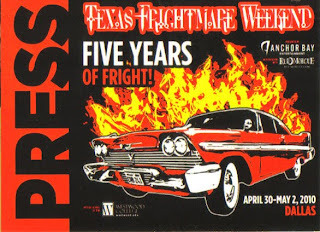 My son, Ryan, and I went to Texas Frightmare Weekend this past Saturday and had a blast. 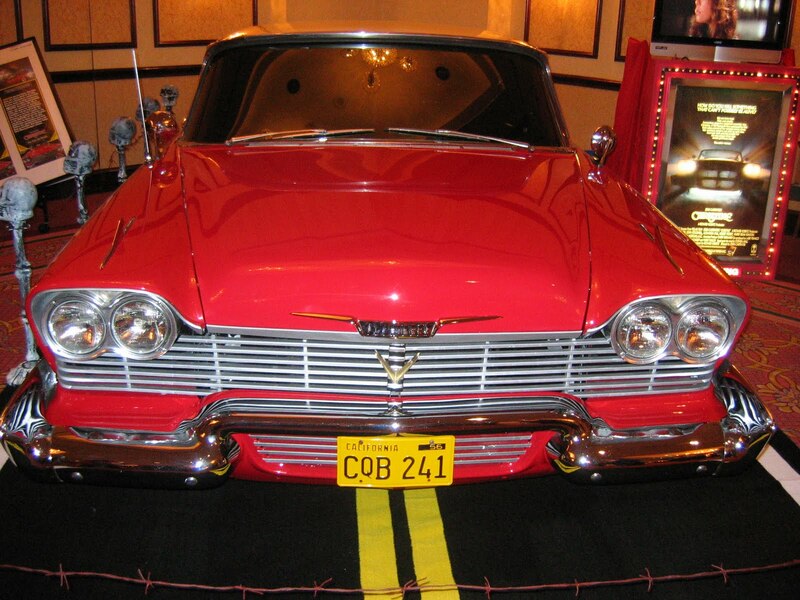 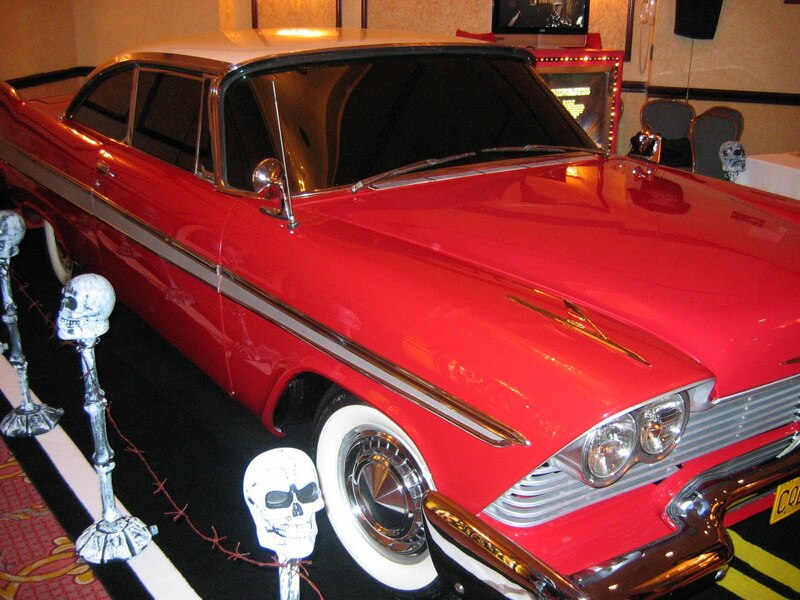 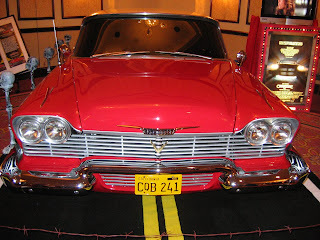 We enjoyed meeting the stars, seeing fans in costume, checking out the dealer's room, and attending the panel on Christine, which included director John Carpenter and several cast members. 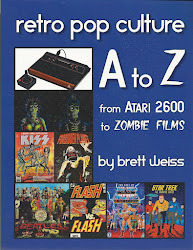 One of the perks of my job: getting in free to conventions. 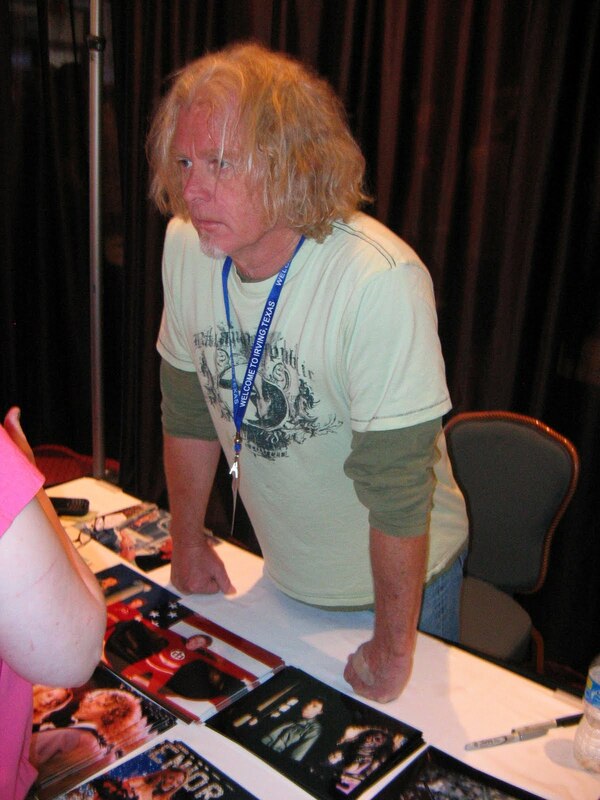 William Katt, whose sincere performances in Carrie and Greatest American Hero made him a very likable actor. Ryan with Keith Gordon of Jaws 2, Christine, and Back to School fame. 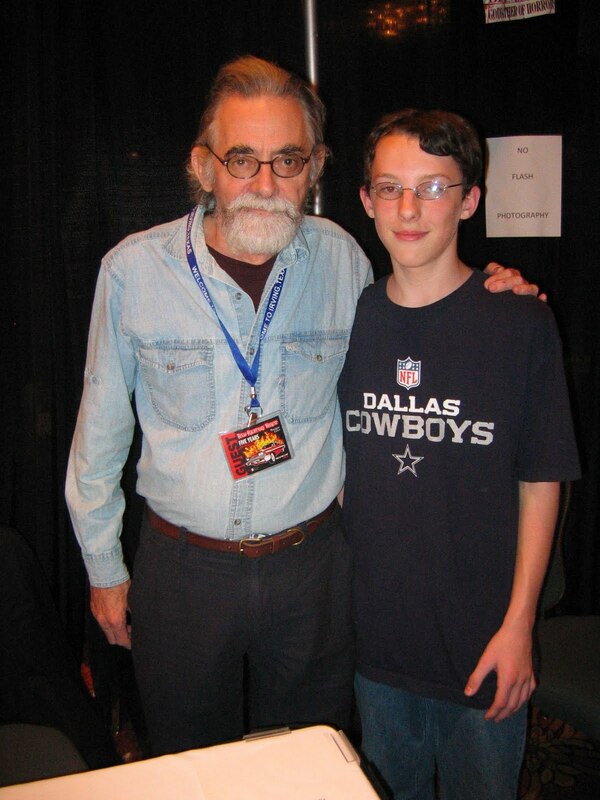 Gordon was kind enough to pose for this photo and thought it was cool that Ryan knew him from Jaws 2. Ryan with Jarlath Conroy, who played William McDermott in George Romero's Day of the Dead. 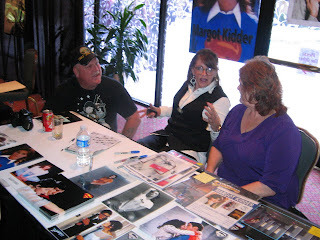 Despite my press pass, Margot "Lois Lane" Kidder didn't want me taking a photo of her without first buying something. 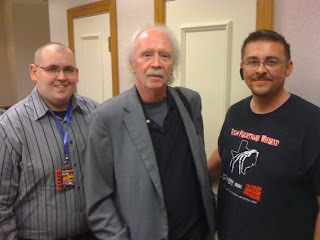 Like the famous character she played would have done, I snapped a shot anyway. 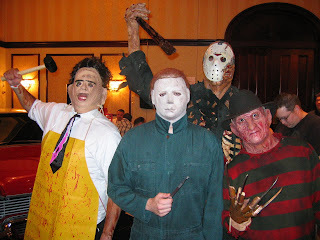 These guys were actually pretty creepy, skulking around the convention. 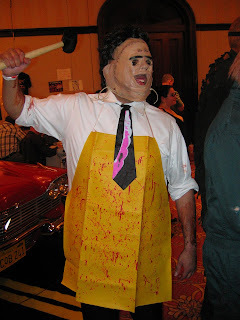 Leatherface trying to kill me. 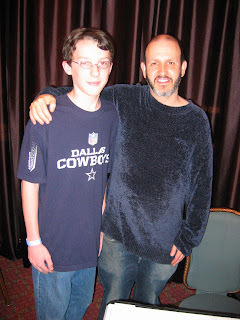 He didn't. The great John Carpenter, director of Halloween, They Live, Escape From New York, and other genre classics, hanging with the Texas Frightmare staff. 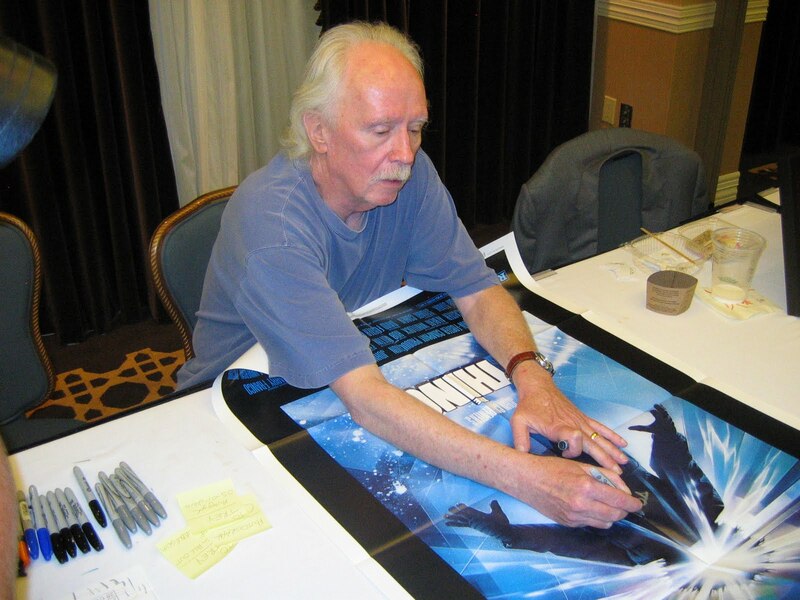 John Carpenter meeting and authographing items for fans. 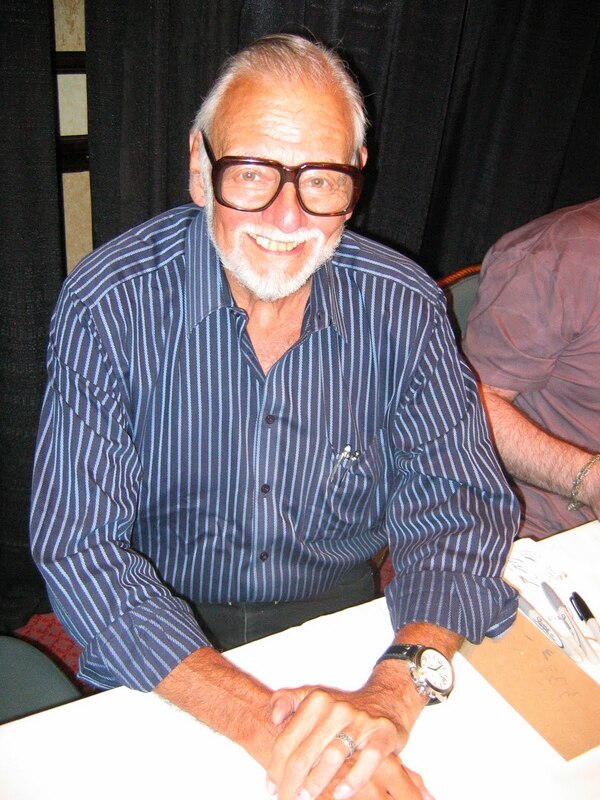 The great George Romero, director of the seminal classic zombie trilogy: Night of the Living Dead (my all-time favorite zombie film), Dawn of the Dead, and Day of the Dead. 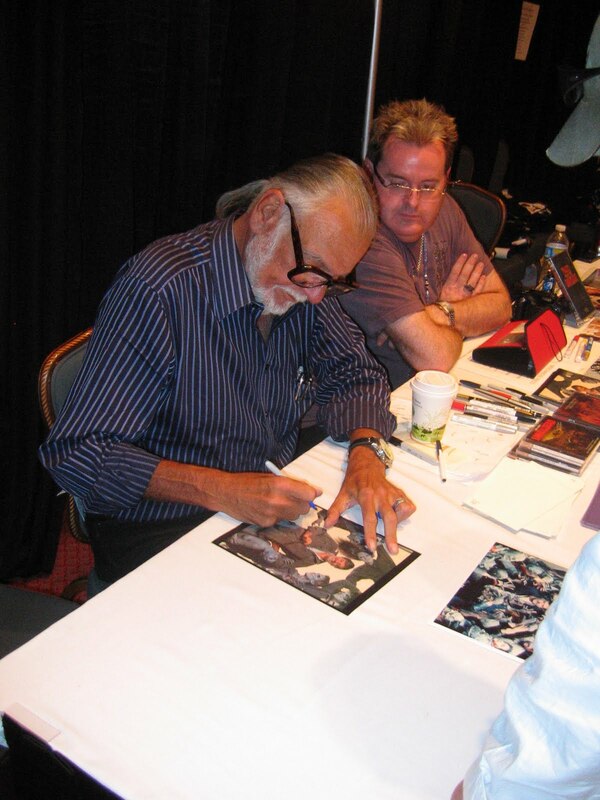 Romero meeting and autographing items for fans. Cassandra "Elvira" Peterson, still looking great. 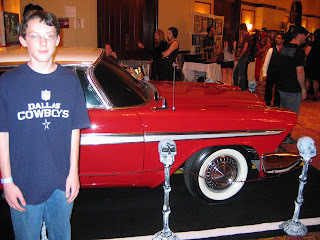 Ryan with one of the cars used in Christine, a film that we'd watched the night before. 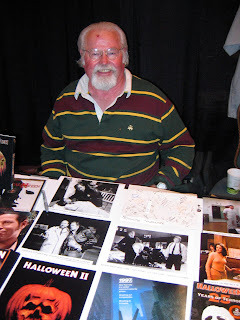 Charles Cyphers, a character actor who appeared in several John Carpenter films, including Halloween, The Fog, and Escape from New York. At the convention we ran into Johnny Lloyd, a longtime friend of the family.